Sly investments and double-dealing abound in this madcap financial comedy. For years Harold has helped his friends with their investments and his artful dodging is about to collapse around him. With the help of his flakey father and naïve nephew can he hoodwink the Russian mob, bamboozle the SEC and keep his world from coming un-hinged? He hopes so! "Open a show with a character called "Gramps" holding a farting ventriloquist dummy, and it's quite clear where we're going. 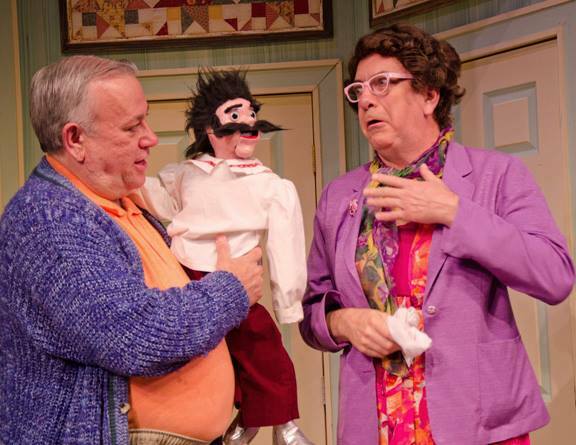 So begins Peninsula Players Theatre's new, original play "Once a Ponzi Time," which keeps the laughter coming throughout with farcical moments and slapstick comedy. "...Foust turns out a royal flush, tying up all the loose ends and bringing the story to a funny and well-formulated conclusion." "99% of what's called comedy barely makes me grin. Once a Ponzi Time made me laugh out loud." "Joe Foust’s Once a Ponzi Time is an unabashedly silly romp that actually turns the infamous Ponzi scheme into material for big laughs. Watching Ponzi is like getting on a roller coaster that, once it gets to the top, takes you on a breakneck ride, pulls out every stop and almost physically throws you around with each plot twist and turn. 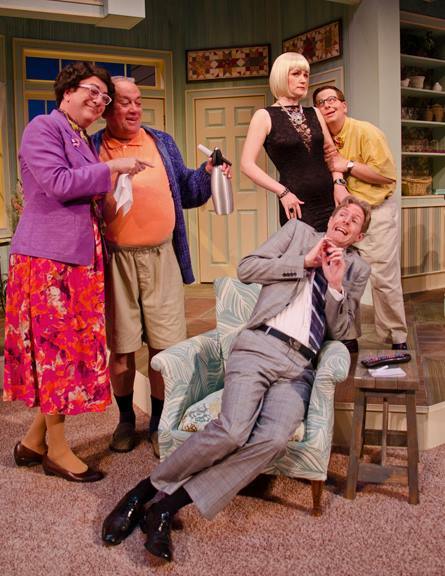 If you like fun, wackiness and strong physical comedy, you’ll love Once A Ponzi Time!" 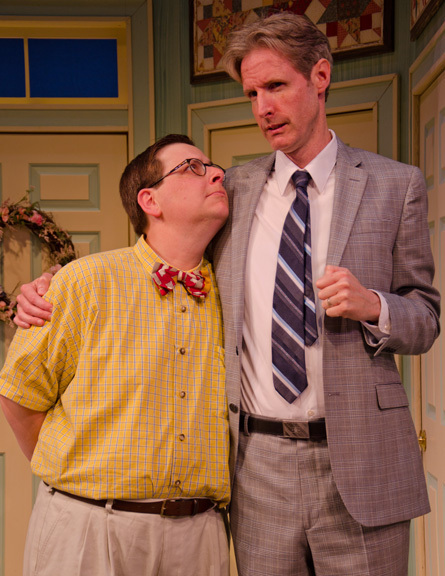 "A wild roller coaster of a comedy, with a cast of characters and increasingly hilarious situations that only the incredibly inventive Joe Foust could have created." Once a Ponzi Time is now available on Amazon! Click here to buy.